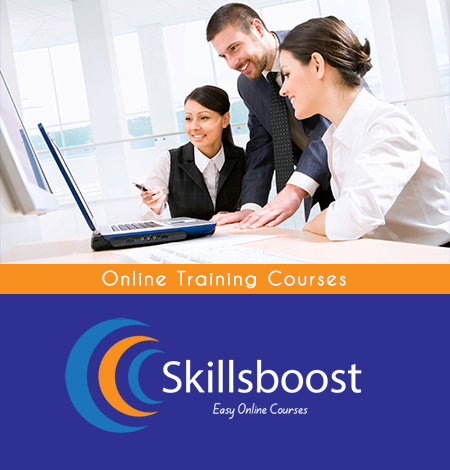 Maximising your return on the business training process. Staff training is an essential part of any business – you’re only as good as the people who are working for you. As such, investment in people should be a primary consideration for all business owners; it’s a pity then that it so often slides down the list of priorities – compliance gets done, induction too, then… for a lot of companies, that’s it. Over the past 20 years, we’ve delivered business training for over 9,000 clients . As such, we’ve picked up quite a few dos and don’ts over the years. Here’s 5 simple boxes that all companies should tick when it comes to their training. Keep them in mind at every step of your training process. You need a definite plan/strategy. This should go without saying, but it too often doesn’t. Before you invest any time or money in training, make sure you’re choosing the right training. In terms of compliance, the choice is made for you, for everything else, take some time to consider it. What do you want to get out of the training process? What areas of your business do you want to work on to improve? All of them, obviously, but don’t be too scattergun. Choose specific areas that you can easily define, and in which you can properly measure the results. Anything else just means you’re wandering in the dark. Maybe the training worked great, maybe it didn’t. How would you even know? And if you don’t know, how can you decide about whether any further training could help? Training should be practical, applicable, digestible. Listen to employees/ use their experience. They’re the ones doing the job! They’re also the ones who, whether by directly telling you or through their behaviours, will tell you where their skillset or motivation is weak. If your staff aren’t upselling (or not upselling successfully), why is that? Talk with them, find out the barriers to best practice, then incorporate that into the training plan. Training, done right, is also a great way to promote employee engagement and enthusiasm. Ideally employees should be able to request new or refresher training, suggest new directions and offer feedback on what’s come before. We all know it from our own experience – it’s hard to keep up motivation when nobody’s paying attention and you’re a passenger in someone else’s boat. An engaged employee – one who sees opportunities for upskilling and advancement – is a productive employee. Quite apart from what new skills or competencies they may learn, that should be a benefit from all effective training also. The training’s done, the instructor’s gone home or your shiny new LMS is installed (depending on what direction you decided to go in), now what? All done? Obviously not. Now’s when the rest of the work kicks in. How effective was it? Was it more effective in some areas than others? Why? You need to ask these questions. This is where we go back to bullet point one; how are you measuring success? What were your goals? Have they been achieved? Talk to your staff. If not, why not? If yes, is there any further development that may be useful? If it worked in one area and not another, what were the barriers in the ineffective area? What can you learn from the areas where it did work, and can you apply that learning to the other areas? They say insanity is doing the same thing over and over and expecting different results. Or Einstein said it, at least. This is why you spend time collating the results data from all your training – because going forward, if you’re going to succeed in business, you must be adaptable, you must respond to your customers’ needs, and you must take the lessons that come from your training process. There’s no point in just sending staff through the same old programmes if those programmes haven’t delivered in the past. Even if they have, are they still the most effective? Might you get better results by building on them, or are there other areas of your staff competencies that could benefit similarly from a little change? Your training process should be circular – you train, you analyse the results, you decide how better to train in the next go-round. Keep these points in mind when next you get a chance to consider your training process. It shouldn’t be a matter of accomplishing legislative compliance and then forgetting about, but a living, evolving upward spiral towards excellence.